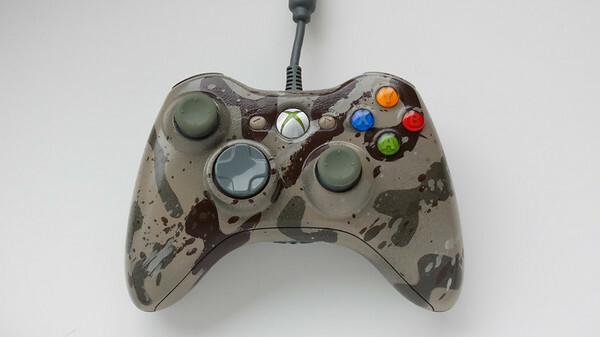 One of my previous custom paint editions had the grips worn off from use, so I took the opportunity to apply a new desert camo color scheme. Used bothÂ stencil and paint brush splash techniques here, and added an additional layer of clear coat to deter perspiration wear-and-tear. I like how it turned out, and received an official nod of approval from the teenagers in the house. 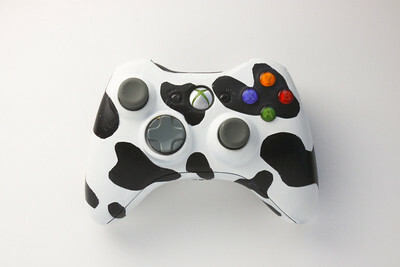 If you’re interested in learning more about how to custom paint a xbox controller, check out thisÂ blog post and PowerPoint deck with instructions.